I’ve had years of practice trying to fall asleep fast. Sometimes, I can. Other times, I have to rely on my friend Ambien. And we’ve all heard about Ambien – you wake up half way across the country with blood on your hands and wonder what happened. Okay, maybe not quite that drastic of a scenario, but sleep eating isn’t uncommon, and I really don’t need the extra calories! Besides, Ambien and other sleep aids are highly addictive. Here’s what I do first, before resorting to the little yellow pill. Unplug. That means phone, lights, tv, ipod, everything. You may find that a small fan is soothing – if so that’s okay to leave on. Stop eating no later than 6. Digestion while laying down often turns into INdigestion. And we all know that’s no fun. Stop drinking at least 2 hours before bedtime – especially caffeinated beverages. While most of us think of coffee as something that might keep us awake, we forget about things like soda, hot chocolate, etc. Also, alcohol and caffeinated drinks are diuretics, so even if you fall asleep quickly you’ll be up shortly to use the bathroom. The same rule applies to sugars. Even decaf coffee, tea, and soda can keep you awake if they have sugar in them. Don’t fold laundry, clean the kitchen, and walk the dog one last time and wonder why you can’t fall right asleep. Find something boring to do. For me, it’s reading. If you choose to read, though, don’t choose to read something that will get you all worked up. A celebrity biography might be a much better choice than one on politics or another touchy subject. Maybe the best read would be a book on relaxation! Exercise – this can go either way. Some people finish exercising and just drop from exhaustion. Exercise will wake others up. If you’re one of the latter, exercise in the morning! Just like exercise, a hot shower can either wake you or relax you, depending on who you are. I like to shower in the morning because it wakes me right up. Other people find the heat and moisture relaxing. Count sheep. Yes, it’s an old cliche, but if you actually picture the sheep in your head jumping over a fence, it might help you to temporarily forget that your son spilled hot chocolate all over the carpet and the cable bill is due tomorrow. Another method is to count backwards by 3s. The thinking required for math (at least for me!) is enough to push all the worries aside. Don’t dwell on it. The worst thing you can possibly do is lay there getting pissed off at your husband, your kids, and the family pet. for their ability to sleep. The more worked up you get, the longer it will take. I would love to hear what works for you. Comment and share! 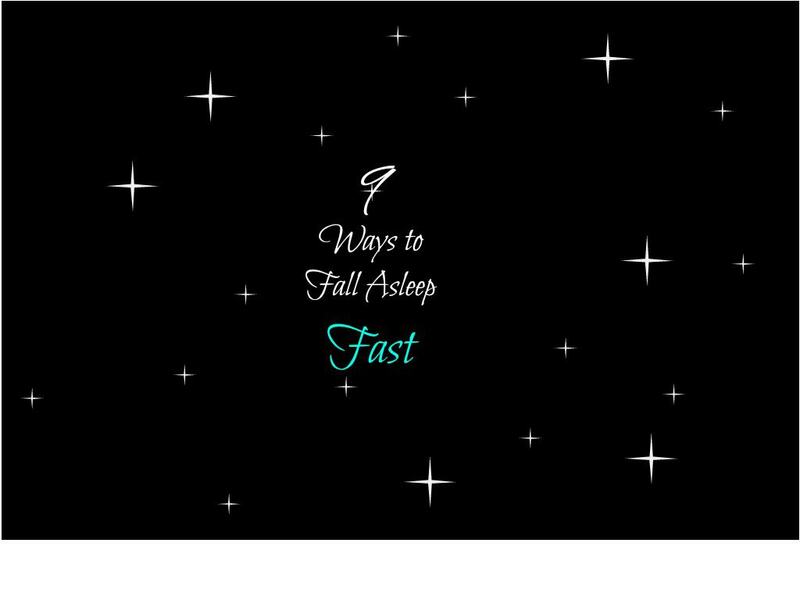 Great tips, I rarely have trouble falling asleep, but this will help for those rare nights. Good tips! When I lay there trying to fall asleep and replaying all of the daily drama in my head, I tell myself that “I;m not going to think about anything”. I try to just make my mind go blank and it usually works.